Online Counseling – Washington, D.C. Your relationship just ended. You may have been dating for a couple of months, a couple of years, engaged, or married. You may be feeling sadness, relief, joy, devastation, or a combination of many emotions. Even with the end of an intimate relationship, you may have to maintain a platonic relationship due to sharing children or being in the same friend group. 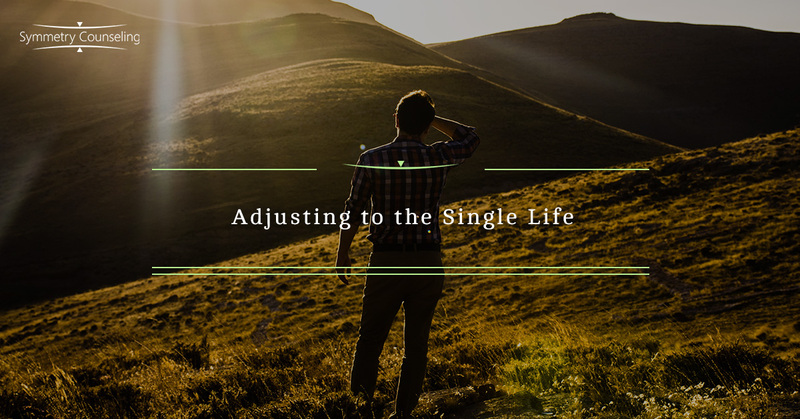 Regardless of your circumstance, the transition from being in a relationship to being single can often be difficult. Whether you had a routine with your ex, or lived spontaneously, developing a routine can be extremely helpful when adjusting back to the single life. Building a routine helps you create things to look forward to each day. This may mean getting up early and having coffee, going to work, coming home to cuddle with your dog, and watching your favorite show. It could also mean getting a lot of errands done! Building a routine may also help to distract from any urges you may have to reach out to your ex when, in your particular situation, it might not be healthy to do so. How you’re feeling from the onset of a break-up is important to acknowledge and recognize. It is normal to experience grief and loss from breaking up with someone who was important in your life. You may experience these emotions of loss for a day, or two years, and they are both okay, as there is no “right way” to grieve. No matter what you are feeling, even if it is joy or relief, your feelings are valid because your feelings are constantly trying to communicate something to you. Breaking up with your partner can be an opportune time to get in touch with yourself, and truly understand your wants and needs in your life. During relationships, we often make sacrifices and compromises for our partner. Throw yourself back into your hobbies, especially the ones that you neglected while you were in the relationship. This will not only help you stay busy, but also to get back in touch with the things you enjoy, both in and out of a relationship. While listening to yourself in self-reflection, determine your “non-negotiables” for your future relationships. Our “non-negotiables” are things that we refuse to negotiate in a relationship. These may be things that we negotiated in previous relationships, and wish to do no longer, or these may be values that we hold very strong to ourselves and refuse to compromise on. One of the most important things you can do for yourself after a break-up is to take care of yourself. In my previous blog “Accessing Appropriate Self-Care,” I specified the six areas of self-care and things you can do to take care of yourself in the fullest capacity. One of the six areas of self-care is social self-care. A great way to take care of your social self-care after a break-up is to access your support groups. Have a fun night out with your friends, reach out to supportive family members, or access the community where you feel safe. Feeling support and caring from important people in your life may help to combat any feelings of loneliness that stem from the lifestyle change and separation from an important person in your life. Also, they can be helpful to reach out to when you feel that urge to reach out to your ex! If you feel that you are struggling adjusting to a recent break-up, it may be helpful to connect with a therapist! Contact Symmetry Counseling today to get in contact with one of our talented clinicians. Where Are You Seeking Counseling? Isn’t It Time You Started Building A More Positive Future?